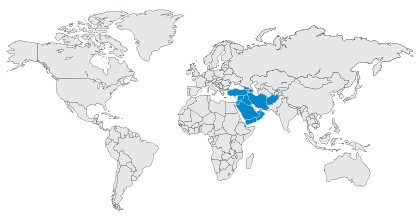 Sunday, November 26, 2017 - Dubai, UAE - StarLink, the region’s “True” Value-Added-Distributor (VAD), today announced a new distribution partnership with Extreme Networks, Inc. (NASDAQ: EXTR) for the Middle East and North Africa (MENA) region. Extreme Networks, one of the world’s largest leading providers of high-performance end-to-end enterprise networking solutions can deliver an IT infrastructure that’s fast, resilient and can tune itself to the demands of users, applications and security threats – from wired to wireless, desktop to data center. StarLink through its extensive channel network in the MENA region will drive new business opportunities for Extreme Networks with a focused team that will sell, install and support the entire portfolio of products. Mahmoud Nimer, General Manager at StarLink said, “We have primed our portfolio for a best-of-breed network infrastructure vendor, and the timing could not be more well aligned with this partnership. 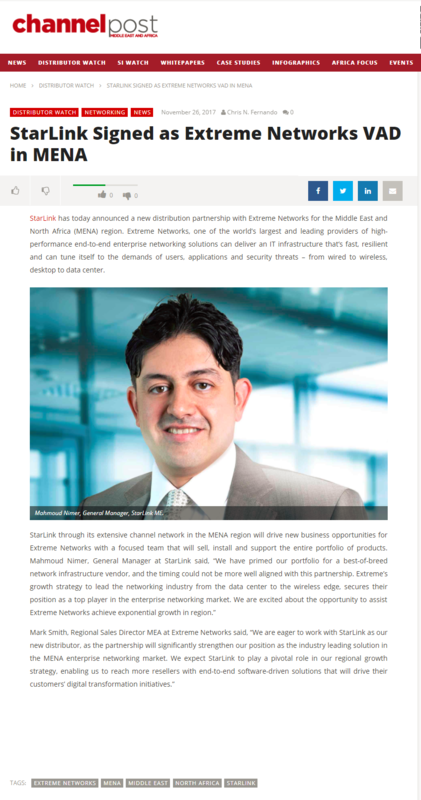 Extreme’s growth strategy to lead the networking industry from the data center to the wireless edge, secures their position as a top player in the enterprise networking market. 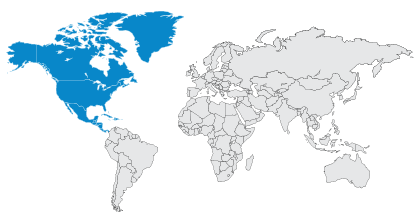 We are excited about the opportunity to assist Extreme Networks achieve exponential growth in region."